Alex Salmond will not be suspended by the SNP over sexual harassment claims hanging over the ex-First Minister, Nicola Sturgeon has said. Labour has been calling for Mr Salmond's membership of the party he led for more than a decade to be suspended while he pursues a judicial review into the way his case was handled by the Scottish Government. It came after two Scottish Government staff members accused Mr Salmond of harassment while he was First Minister in 2013. Mr Salmond denies the claims. But Ms Sturgeon today said the party has a responsibility to act in accordance with "due process." "Also, for legal reasons, the limited information I have about the Scottish Government investigation cannot at this stage be shared with the party – and rightly it is the party, not me as leader, that has the power to suspend membership. "In summary, the party has no legal basis at this time to suspend Alex Salmond’s membership. Of course, should that situation change, the matter will be reconsidered, as it would be for any member. The party’s rules apply to all members and no one is above them." Read more: Why should Salmond be treated any differently? 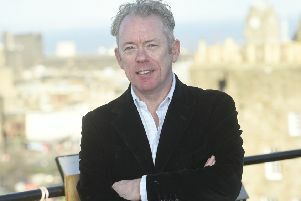 Former children's minister Mark McDonald was suspended by the party over harassment claims last year which he denied. The difference here would appear to be that the SNP had conducted that probe, while this investigation was done by the Scottish Government. But Ms Sturgeon also mounted a strong defence of the Scottish Government's top civil servant Leslie Evans who has come under fire for the process which was carried out during the probe into Salmond and which is now being challenged by the ex-First Minister at the Court of Session. Ms Sturgeon's own former special advisor Noel Dolan has said Ms Evans should quit if the Government loses the court case. The Scottish Government is "extremely restricted", the First Minister added, in what it is able to say about "inaccuracies in the public statements of others." She added: "That is frustrating but it is inescapable at this stage. In the fullness of time, the Scottish Government will seek to make available as much information as it can. "However, we should not allow a focus on process to obscure this central fact - complaints were made by two individuals that could not be ignored or swept under the carpet. It is essential that organisations have processes in place to enable investigation of such complaints and, although I have no role in it, the procedure that has been used to investigate these complaints was agreed by me. The Permanent Secretary was absolutely right to ensure that the procedure was applied in this case and she has my full support in having done so." "The Scottish Government will defend its position vigorously. However, just as importantly, it - and I - will defend the principle that complaints of harassment should always be treated seriously regardless of the identity, seniority or political allegiance of the person complained about."